I started my first blog back in 2002 and have been actively blogging in one form or another ever since. 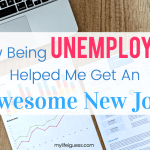 Even though I have these years of experience behind me, there’s still so much to learn and perfect when it comes to blogging. It’s always changing and advancing; sometimes it’s hard to keep up! So, when Anne of Unique Gifter put out a request for beta testers for her new course, Perfect Gift Guides, I jumped at the chance. She has made over $85,000 just from Gift Guides, whereas I’ve made $210 through all of my affiliate marketing attempts combined. Clearly, she knows what’s she’s doing! Scroll to the bottom of the post for a 15% off promo code! 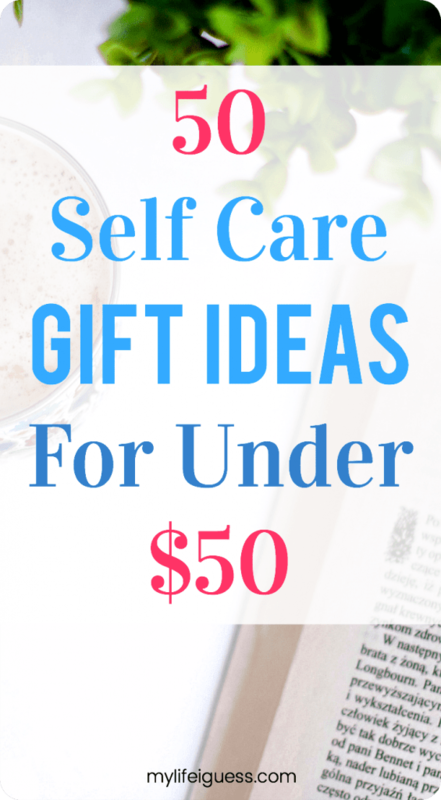 A gift guide is simply a type of blog post or article that provides gift ideas. They are usually focused around a specific demographic, occasion, interest, and/or price-point and are written with a target audience in mind. 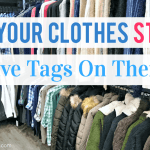 You’ve probably come across many of them while browsing online, whether they are explicitly labelled as a gift guide or disguised as articles. There are two main reasons to make gift guides. The first is to provide value to your audience by collecting ideas and suggestions you’d think they’d like. Finding the perfect gift can be hard and time-consuming. By providing gift ideas all in one place, you can make easier for anyone who’s looking to buy. The second is to use and promote your affiliate links to try to make some money. In case you don’t already know, affiliate marketing is when someone like me posts links to products (or services) on my website. Then someone like you comes along, clicks on the link, and makes a purchase. The company then gives me a small commission from the sale. It’s one of the most popular ways for bloggers to make money online. Even big sites like Buzzfeed, Huffington Post, Mashable and Popsugar use affiliate marketing. Creating a gift guide is probably the best affiliate marketing strategies out there because blogs of all sizes can use them to generate revenue over and over again. Because people buy things online every. single. day. Although the holidays are the prime time to create or promote gift guides, between birthdays, holidays, and other monumental occasions, there’s always a reason to buy a gift. 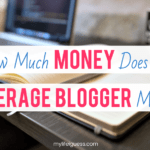 Everywhere I turned, it seemed like other bloggers were earning hundreds and even thousands of dollars each month with their affiliate marketing. Some make more per month than my annual household income! But I could barely even make $1. Clearly, I was doing something wrong, but what? I signed up for dozens of free affiliate marketing e-courses to try to figure it out. But most of these courses target the absolute beginner and spend the first several lessons focused on “how to start a blog”. On the flip-side, a lot of the paid affiliate marketing courses seemed overwhelming. (And over-priced, for my small budget!) They too include a lot of beginner lessons that I don’t need. And also include lessons on things that don’t apply or interest me, such as “monetizing YouTube video ads” or “how to launch your own affiliate marketing course”. 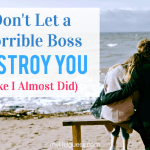 I needed something focused that would provide me with me a clear, manageable (and hopefully profitable!) strategy. And that’s exactly what I got from taking the Perfect Gift Guides course. Even as an experienced blogger, I learned so much from this course. There are plugin recommendations and short-cuts included in the course that I had no clue about. 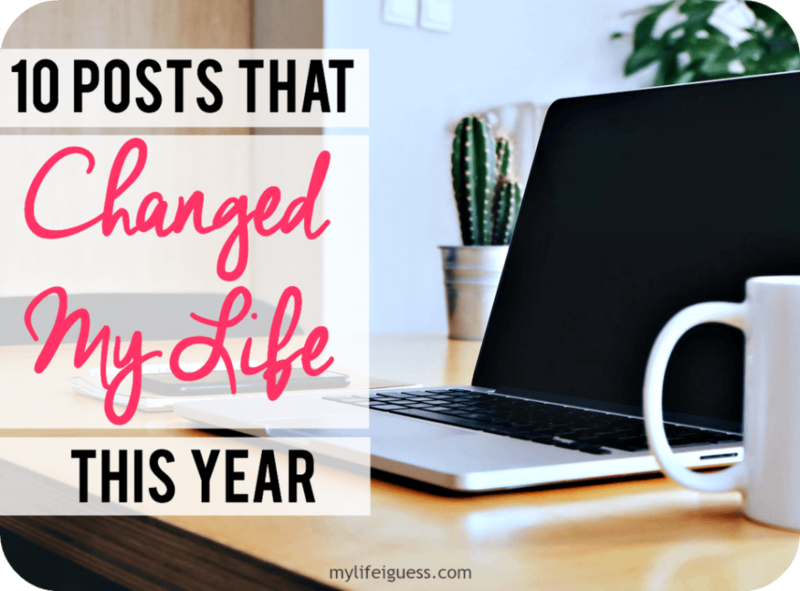 Not only did they help me make my first attempt at a Gift Guide that much easier, but they have helped me run my blog more efficiently, overall. 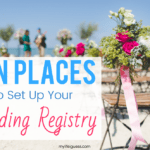 It also includes a list of different affiliate programs to sign up for, so you’re not just relying on Amazon. My favourite thing about the course is its “learn by doing” approach. The goal is to have a perfected gift guide published as fast as possible. Throughout the course, there are action items designed specifically so that you do. As a procrastinator, I needed this! I like to sit and think about things for longer than necessary and tell myself I’m actually being productive doing so. This course didn’t let me get away with that. 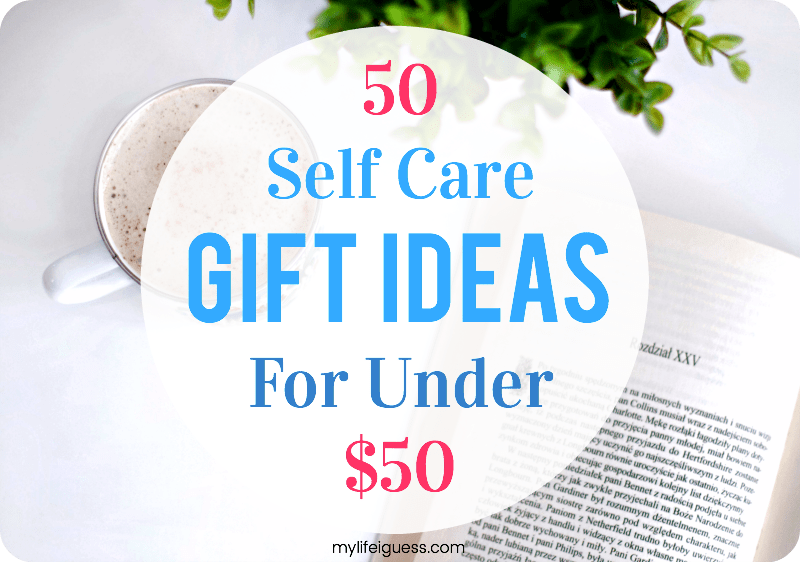 It taught me how to plan every step so that I could publish my first gift guide sooner and start seeing that elusive passive income roll in. My biggest takeaway from this course, as I’ve already mentioned, is that it identified exactly what I was doing wrong – and gave me a focused strategy to fix it. Before taking the course, my attempts at affiliate marketing went nowhere. For example, I thought that my post about how I got a FitBit for only $15 would have gained a least some interest. 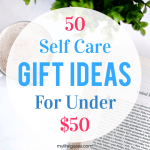 Although it wasn’t a gift guide, it has the clickbait-y title, it was published in early December of last year to get those holiday shoppers, and it included my affiliate link throughout the post. But guess what? Nearly a year later, no one has clicked on the links and no one has bought a FitBit because of that post. This course pinpointed exactly why that post failed. The gift guide I created while taking this course, however, is less than 3 months old and gets multiple clicks every single day and has already generated a few sales. And the holiday season is just starting! 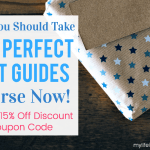 Who Should Take the Perfect Gift Guide Course? I think that most bloggers can benefit from this course. I know I sure have! If you already have a blog of any size and in any niche and you want to either start earning passive income or want to earn more, this course is for you. 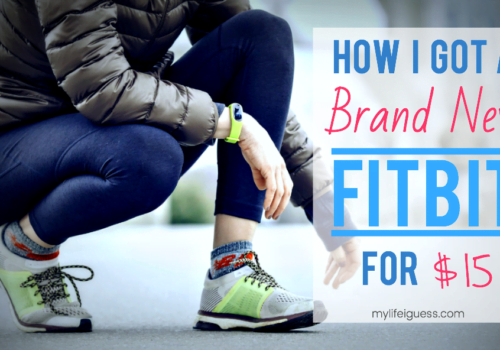 It’s very affordable and worth investing in – especially if you use my discount coupon code found at the bottom of this post to get an extra $15 off. The course will probably pay for itself, but please make sure it fits your budget! Rather than learning everything there is to know about affiliate marketing (including how to start a blog), this course focuses on the important things and tells you how to actually start implementing them. If you’ve struggled with creating gift guides or getting your affiliate marketing to convert into sales, this course will get you there. By the end you will have a completed gift guide published, a promotion plan to get people to click your links and make you money, and the know-how to do it over again and again. Don’t think you’re niche is a good fit for gift guides? You’d be surprised! Although some niches will be easier than others, there are physical products out there that relate to every topic imaginable. I mean, just look at all the topics covered at Unique Gifter. 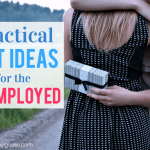 Try searching “your niche + gift guide” on Google, Amazon or Pinterest, and I assure you, there will be product ideas for you to include. Who Shouldn’t Take the Perfect Gift Guide Course? If you’re already a pro at affiliate marketing, this course isn’t for you. The course is geared towards people that already have a blog (or are seriously planning to start one) and that are interested in monetizing it through affiliate marketing. So if you’re not interested in blogging or promoting products or services from other companies (especially Amazon), this course isn’t for you either. It also might not be right for you if you need to immediately make revenue. 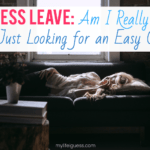 Passive income isn’t passive at first, but will set you up for long-term payout. You will need to have some patience and not give up if you don’t receive a commission check in your first couple of months. The self-paced Perfect Gift Guides course includes 11 lessons that you can access 24/7. It starts with the secret to why Gift Guides are better than almost every other affiliate post type out there, and ends with the tips, tricks, tactics, and hacks for gift guides (and any affiliate posts) that most people don’t know about. You get lifetime access to the course, including any updates and additional materials. There are videos to show you how to make your gift guides look good without needing any specialized software or tools. It also teaches you how to keep it all legal, so that you don’t risk losing everything you’ve worked for. 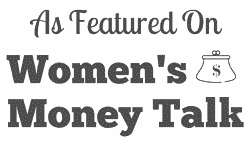 If you’re Canadian like me, there’s even a bonus lesson on how to fill out those US tax forms. You get a downloadable workbook that includes checklists, hashtags ideas, a content calendar and space to take notes. 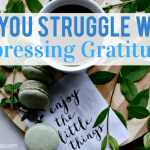 It even includes what to do after you’ve published you gift guide, like how to generate more traffic and ideas on how to refine and update it. And there’s a lot about Pinterest! There’s a whole “bonus” Pinterest mini-course (which is incredibly valuable on its own) and access to group boards. Is the Perfect Gift Guides Course Worth It? I was fortunate enough to take the course for free as a beta tester. But I was perfectly willing to pay for it. As part of my beta tester duties, I was asked to fill out a feedback survey, where one of the questions was “how much do you think the course should sell for?”. I picked $97, but honestly, I think it could sell for more than that. I know that Anne knows what’s she’s talking about. 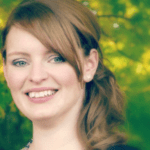 She’s helped me with monetizing my blog and enhancing my Pinterest in the past. Since taking the course, she’s even helped promote my gift guide and has checked-in with me several times to see how it’s doing. At a cost of only $67 – with an additional $15 off if you use my discount coupon code (at the bottom of this post) – the course is absolutely worth it. If you sign up and disagree, Anne is super approachable and is there to help you succeed in any way she can. There is also a 30-day refund policy (not that I think you’ll need it). Why I Think You Need to Take This Course NOW! Gift guides get the most traffic around the holidays. But you don’t want to wait until December to get your gift guide published. It takes time to generate the organic traffic you’ll need to be successful. Meaning now is the perfect time to create a gift guide (or many!) of your own to snag those potential sales. It took me a couple hours a day over a couple of days to get through the course. But most of this time was spent actually implementing the lessons and creating my gift guide. In the end, I had a completed gift guide perfected and ready to go. Which goes back to my favourite things about the course – you “learn by doing”. So if you sign up now, you could easily have your first gift guide published in just a few days, too! I’ve only made one gift guide so far, but I’ve already gotten a lot of value from this course. The strategies I’ve learned and ideas it has given me I know will help me provide value to my readers, too. Although this course focuses on creating the perfect gift guide, it will teach you more than just that. It will change the way you approach affiliate marketing overall. You will learn better ways to create, publish and promote all of your content. And best of all, it can be implemented immediately so that by the time the holidays get here, you’ll be rolling in the dough! 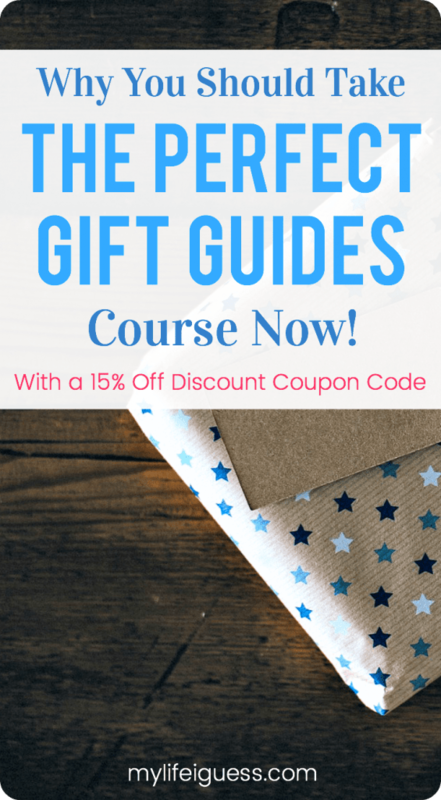 Click here to register for the Perfect Gift Guides course now! YOUR TURN: Are you interested in creating gift guides? Have you had any success with creating gift guides? 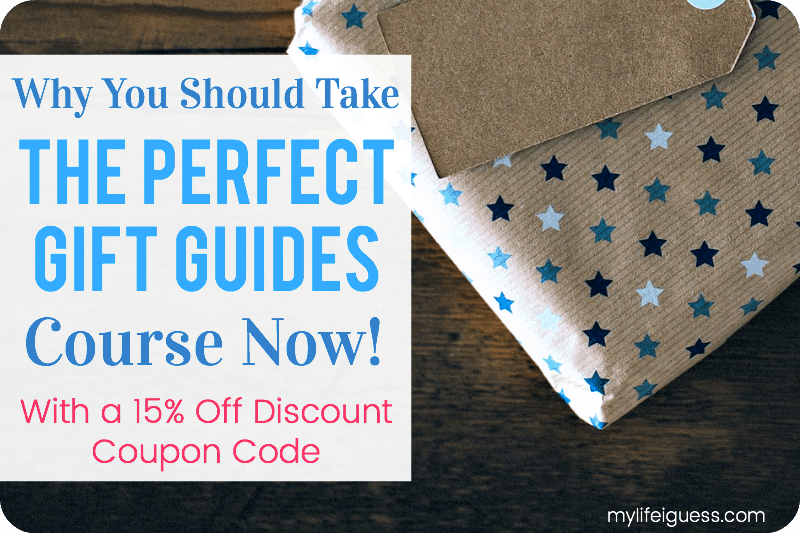 If you have any questions about the Perfect Gift Guides course, please let me know! I’ll be more than happy to help! I’ve been looking for a course like this one cuz I’ve found the same as you. The free courses are too beginner but the paid ones are too much. I’ll have to look in to this one cuz it sounds like the right balance. Thank u! Hey so I see that you wrote this post a bit ago. I am curious about how the progress is going. Like, how much more traffic you get, how you are doing in sales, and if you still think the course is worth it. Did the course “pay for itself” yet?